Two years in a row, Felix Rosenqvist has raced to victory in the Macau Grand Prix – the most prestigious and important event in all of junior single-seater motorsport. This week sees the Swede return to the Chinese gambling enclave for the 2016 edition of the famous Formula 3 street race; and he is back in pursuit of a record-breaking third triumph. The tradition-steeped Macau F3 race was staged for the first time back in 1983, when Ayrton Senna took victory on the treacherous Guia street circuit. Since then, a host of superstars in the making – David Coulthard, Jacques Villeneuve, Michael Schumacher, Mika Häkkinen, Sebastian Vettel and this year’s F1 title protagonists Lewis Hamilton and Nico Rosberg to mention but a few – have engulfed in battle at the Macau Grand Prix. In the 33-year history of F3’s blue-riband race, however, just two drivers have managed to win it twice: Edoardo Mortara (Italy, 2009-2010) and Felix Rosenqvist (2014-2015). Hence, a victory on Sunday would put Rosenqvist apart as the only three-time winner of the event – which gains increased status this year after acquiring official F3 World Cup status from motorsport governing body the FIA. 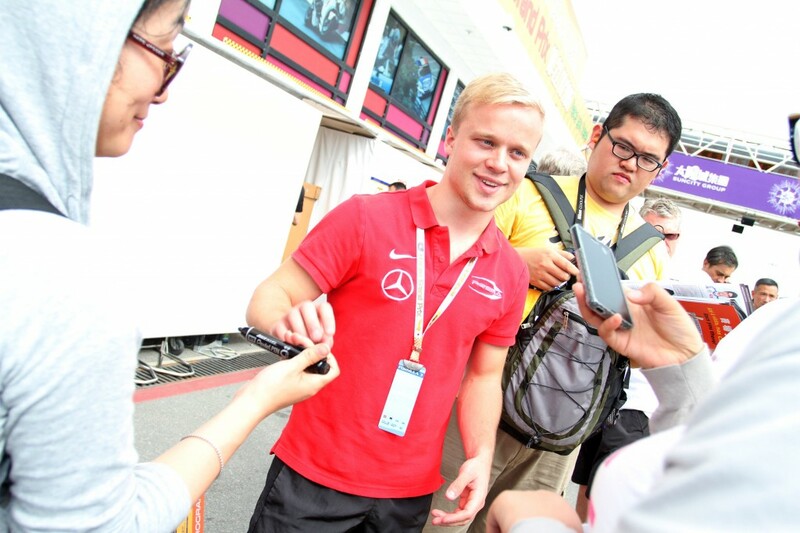 Rosenqvist first partook in the Macau Grand Prix back in 2010, and has a second-place finish from 2012 to go with his two recent victories. He will, however, enter this year’s edition without having contested a single Formula 3 race all season, his 2016 commitments instead revolving around a multifaceted programme featuring Indy Lights, DTM, GT and Formula E racing. Rosenqvist’s hectic schedule sees him arrive in Macau straight from Morocco, where he claimed a maiden Formula E pole position and podium in only his second start in the category in last weekend’s Marrakesh ePrix. Rosenqvist’s Macau entry (#1) will be managed by the SJM Theodore Racing by Prema squad; the same outfit that carried him to victory one year ago, and to the 2015 FIA F3 European Championship title. Also part of the team’s line-up is New Zealander Nick Cassidy (third in Macau in 2014) and 2016 FIA F3 European Championship runner-up Maximilian Günther (Germany). In total, the grid will span 29 drivers from 14 countries, with Rosenqvist joined by two fellow ex-winners in the shape of 2011 victor Daniel Juncadella (Spain) and Portugal’s António Félix da Costa (who beat Rosenqvist to the win in 2012). The 2016 Macau Grand Prix gets underway with free practice and qualifying on Thursday and Friday, followed by the 10-lap Qualification Race on Saturday that will set up the grid for Sunday’s do-or-die, 15-lap finale. Official live streaming will be available from the event.